SKU: EBOOK201. Categories: Books and Audio, Sleep Essentials. “In a practical, realistic and user friendly guide, award winning writer turned naturopathic sleep therapist, Tristian Kelly shares her secrets as to how she managed to overcome twenty years of chronic insomnia. Designed to kick-start your mind and body into sleeping well again without the need for sleeping pills, Tristian offers effective and natural strategies as taught at the Bondi Sleep School. 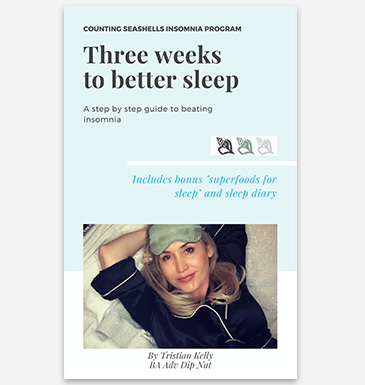 As someone who slept as little as one hour a night, author Tristian Kelly knows exactly what you are going through and has condensed the best of everything she has learnt in her quest to beat insomnia into a manageable three week program. 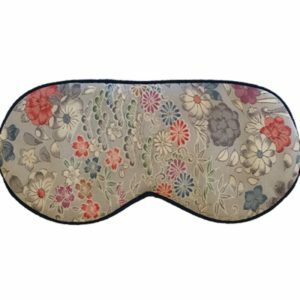 You will learn scientifically proven methods for improving not only sleep but overall health and wellbeing, including naturopathic and nutritional advice such as foods to eat and foods to avoid along with sample menu plans and recipe suggestions. *manage the times when you have insomnia with tips and coping strategies. *discover how your environment affects your seep.